Thanks to a fantastic group of Kickstarter Backers, Geeky Sprinkles are here! Purchase your sprinkles at the Geeky Hostess store! 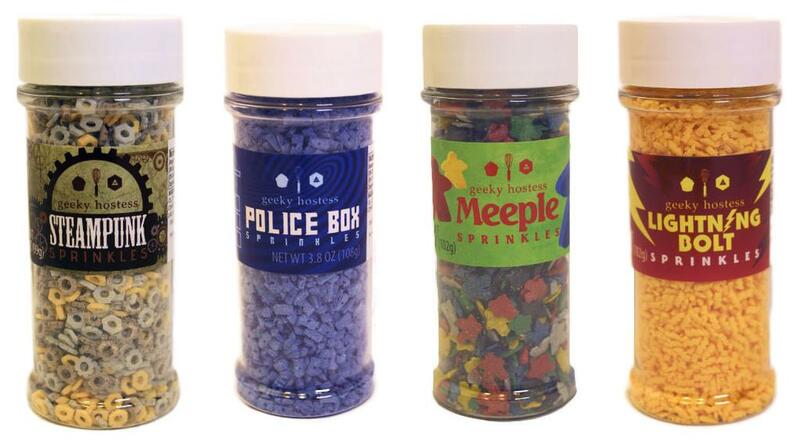 Interested in carrying Geeky Sprinkles in your store or bakery? Please contact Tara for more information.